Creative flyer Template to promote your White Party ! Summer is the hottest season, a special time to promote your nightclub, restaurant, bar, festivals with this flyer / poster. Save time and create a custom design with your own text, images and colors. 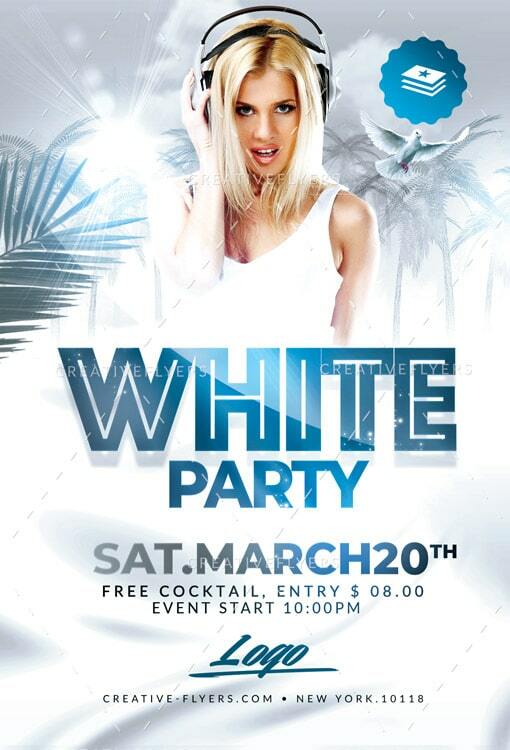 If you liked this style, enjoy downloading this White Party Flyer Psd Template, a first-rate design by Creative Flyers perfect to promote your Party ! Your purchases are kept secure and can be downloaded an unlimited . Our premium templates are licensed under “Unlimited Use” License.